When two people have the essential training and inspired passion, anything is possible. Case in point is a married couple living in Minneapolis — Jeremiah and Amanda Rangel. Jeremiah, a St. Paul native, spent years fine-tuning his skills as a personal trainer, nutrition coach and practitioner and trainer of Neuro-Linguistic Programming (NLP) and hypnosis. His wife, Amanda, who grew up in the small towns of Paynesville and Roscoe, Minn., just west of St. 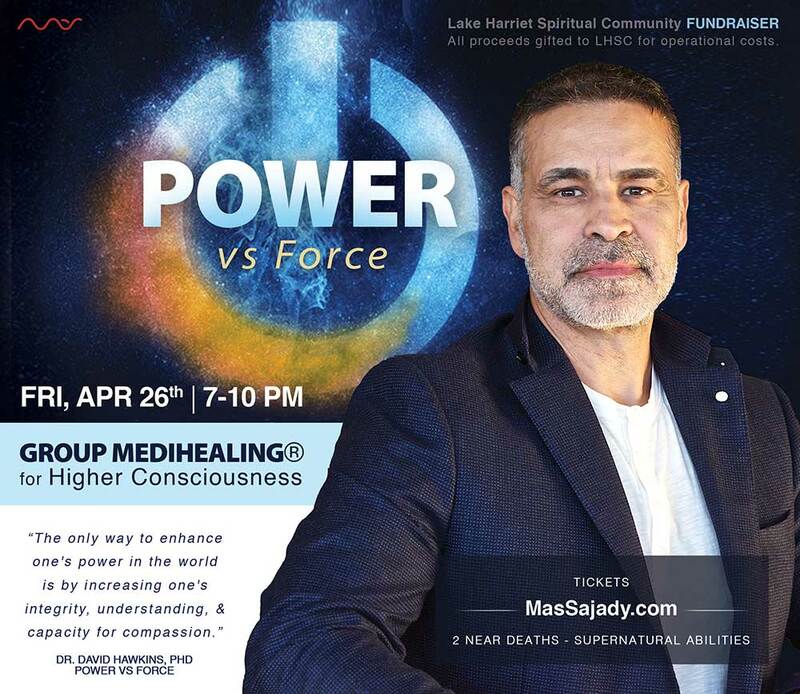 Cloud, graduated from the University of St. Thomas in commercial real estate, finance and economics, and became a certified personal trainer and relationship coach and spiritual guide. The couple recently spoke with The Edge to share more insight on IntraAwareness and what inspired them to help others reach their full potential in all areas of their lives. Amanda: What I wanted to be when I was young was an oceanographer. I love underwater and exploration and growth and finding things and discovering things that had not yet been discovered. So, that’s the direction I really thought my life was going to go. Jeremiah: As early as I can remember, we used to go in elementary school to a planetarium, where you go and sit back and they show you all the constellations. I just remember when I visited there having mystical experiences regularly, and it connected me on a level with these planets where I came from before I came to Earth in this body. So I wanted to be an astronomer, and then I wanted to go into fire fighting. I always knew I wanted to help people, but I ultimately ended up where I’m at today. What choices did each of you make for your lives upon leaving high school? Amanda: I have always had a core about me that is about expansion, so I looked up an uncle of mine who worked at a really big company here in Minneapolis as an accountant in commercial real estate development. I grew up pretty sheltered, so I aspired to be like him. I went to a two-year tech college in St. Cloud and studied accounting. I didn’t know where I was going, I just knew I was going somewhere. I got a job at his company and became really interested in commercial real estate, finance and economics. I ended up going to St. Thomas and getting a degree in commercial real estate studies. I took that next step of going into the corporate world for security and all of the reasons that people go into that kind of a work environment. Jeremiah: During high school I got partnered up with a gentleman in St. Paul by the name of Roger Erickson, who was an athletic trainer for several high-level athletic teams from high school all the way to the elite-level professional athletes. For five years or six years I studied and trained under him, and then I kept betting on myself and investing in myself. I kept wanting — very much like Amanda says — more expansion. 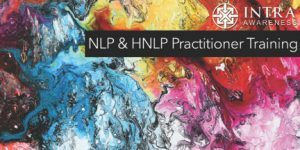 So, I was 24 years old and made another choice to go to a top international coaching school to learn neurolinguistics psychology and sonic hypnotherapy and study quantum physics. Then a few years later I found myself in India in 2006 going to a place where pretty much the Who’s Who of spirituality has gone and received training with the Dalai Lama, including Eckhart Tolle, Deepak Chopra, Tony Robbins, Oprah Winfrey. So here I am surrounded with gurus and swamis, and I’m just this 26-year-old guy who just wants to grow, and I kept continuing to grow ever since. What or who inspired you to move toward assisting the lives of others for a career? Amanda: Since I was really young, about 4 or 5, I was more consciously aware. I was always having mystical experiences, communicating with this source that was not physical. I always had a lot of angels around me and a lot of guidance in that way. At first it was really natural and normal, but then when I tried sharing my experiences with my parents, family members or friends, I got weird looks. I learned really quickly that that was not an acceptable thing that people were willing to talk about — so I learned to shut that down. I learned to mute some things that were really natural within myself in an urge to get along with other people. I just wanted to fit in. I wanted to have friends. I just didn’t want to be the weird one. These things were still continuing to happen, throughout college, and while working in the corporate world, but it got to a point when a timer went off. That’s what I feel it was for my energetic and spiritual self, and my purpose in life. The lessons that I learned about muting and quieting my natural abilities and my natural state were no longer acceptable. So when that happened, things in my life started shifting dramatically. I went through a lot of the things that people go through to break down and come to full surrender, including a divorce. During the whole time I was praying and communing with my angels and my guides to see what the real lesson was for me. I feel that I really got to the core of what my purpose was and what these lessons were for me and how, before I even came here, I asked for these lessons, and I was determined to be able to break through them and grow from that. That’s what ended up happening for me to get to the place of moving away from the corporate world to being in a place where I now am a multi-practitioner, a life coach and certified hypnotherapist. The spiritual and natural tools that I have had my whole life have just fully flourished, so I am now in a place where I can help guide others to do what they are really meant to do, in whatever version that is for them. That’s what I am really passionate about. I feel really fortunate that my partner and I can both focus on this on a daily basis to create an amazing community of people from around the country coming to Minneapolis for this training and coaching that we are doing. Minneapolis is a lighthouse that is going off now, and people from around the country are coming here to be a part of it, and it is really cool. Jeremiah: What I am about to share might be unbelievable to some, and fully resonate with others, and all I am sharing is my authentic truth. Growing up in St. Paul, I remember when I was 5 years old. I was in my front yard by myself and the best way to explain it is that this golden being appeared. It was kind of a human form, but there were not any features, and it was completely balanced between the masculine and feminine energy. It felt like home. It felt like something that really resonated with me — and I didn’t question it. I didn’t have this big strong ego at the time to be able to reject information. So I just was talking with it. It kind of felt like the sun, but not hot, and right in front of me it started to share with me that humanity was going through a huge shift of consciousness in the years to come, very quickly, mainly around December 21, 2012, and I was going to be a big part of this shift of consciousness, whatever that may mean. And I said, “Okay.” At the time, that just made sense, and this being told me it was going to help me on my journey in a very big way. And I said, “Okay. Sure.” I mean, I was just a little boy and it felt good, no problem. The next thing I knew was it jumped inside of me and immediately I started to download and activate spiritual gifts. I received my map of the world and they told me when I was 33 years old that I would have a huge shift of consciousness, a big awakening that would happen, which it did. It told me I would marry somebody like myself who was also half Mexican. My dad is full Mexican, and Amanda’s mom is full Mexican, and we are both Sagittarius. We were literally born a week apart, and I never met a person more like me, but who is very different in the same way. Like Amanda, I shared with my parents about these mystical experiences. I started talking about the stars and having channeled that information and they did not shut it down. They didn’t know what to do with it. They looked at me kind of big-eyed, but they said, “Jeremiah, this is pretty amazing stuff. We don’t know what to do with it.” These gifts really were not harnessed until I had a physical mentor, and then I went to my psychological mentors and then I went to India to learn advanced spiritual technology. One of my spiritual gifts is to discover, develop and extract and help people discover what their spiritual gifts are, and help people with clairvoyance, clairaudience and all different kinds of things. This golden light inside of me basically has taken over. Things work just a little bit differently for me than other people. Instead of having to talk to guides and angels with a time lag to get the information, for me it was instantaneous since the age of 5, ingrained inside of me the whole time. What synchronicities brought the two of you together? Jeremiah: The first answer would be our grandmothers, who are both passed away. My grandmother passed away when my dad was 15 years old, so obviously I never met her in the physical form, and I believe Amanda’s grandmother passed away when she was a little girl. I’ve always been connected with my grandma. I have just seen pictures and I always knew I was such a big part of her. It’s just like our souls are a part of each other. She had 12 children, and my dad was in the middle, and he was the closest one to her. She taught him how to cook. She taught him how to clean. She taught him how to hug, so it’s something I just was born with. When most people give hugs, they usually shrug their shoulders, hold their breath, and just give a squeeze. Well, that’s more of a mechanical version. Actually, the true art of hugging is where it is a transfer of heart-to-heart energy. You have to drop your shoulders and have to breathe, and that actually opens up your heart. My grandma taught my dad this and he taught me this. So, Amanda and I met one time in 2004 at a private training studio where I was working at in town. She came to one of my classes and we had a connection, but we were both in different relationships. It was not the right time. Then we bumped into each other a year later at Kowalski’s in Uptown, collecting food for a food shelf, and I gave some to her. Four years later we bumped into each other the third time, and it was the final time, and since then we have been inseparable. Amanda: What has become really clear to me during the journey of our relationship is that this isn’t the first time that we’ve been together. We find each other every time that we come down here to Earth. What’s interesting is that we don’t have children, and we don’t know if we will have children because we really do have this bigger mission and purpose that we feel called to in this lifetime. We talk about it and we are just like, “Well, maybe it’s just not for us this time around.” We’ve experienced so much together that in this time it’s really about helping parents heal themselves and reprogram any negative programs or dissolve any programs that they have so that their children in this world in this lifetime won’t have that as their experience. They can just stay in that connection. They won’t be burdened by their parents’ issues. Amanda: Yeah, parents can keep the connection that they came here with, to really flower and blossom. For us, it it doesn’t matter how old somebody is. Everybody feels like our children. That sounds kind of silly, but in our hearts it really feels true. Jeremiah and I will do coaching for young kids and then there are people who come to our workshops who are in their 70s, having these experiences and healings and clearings that for decades they have been searching for. In one three-day weekend they’re healing within themselves, but then they are able to send that to their ancestors and see immediately an impact that it has on their children, and their grandchildren. We’re just here to help heal it and connect it in the ways that we are feeling called to intuitively. What led to the creation of IntraAwareness and when did it start? Jeremiah: The first part of it started when I was 5 years old when that golden light came inside of me and started to download and activate. It showed me and told me directly that I was here to create these Earth schools for light beings or human beings to help them learn how these things called their bodies — what we call Earth suits — work. The thing called the supercomputer is called the mind. And the portal to higher consciousness is called the heart center, then the universe of Self. I was unconsciously searching for it my whole life and then I had my first physical mentor for five years. I wanted him to have all the answers, but he could only teach me what he knew, and then I went to the psychological teachers and I wanted them to have all the answers, but they only taught me what they learned, and then spiritual teachers did the same. 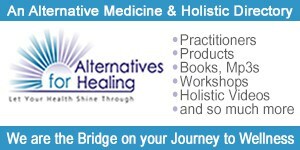 So, in 2011 we started this fully integrated system, a holistic lifestyle training system for leaders, for light beings. We call them spiritual butterflies. It’s for people who want to discover what they’re here to do — not through the mind, not intellectually, but experientially. Once you ultimately get in touch with what you are here to do, your mission, your purpose, your vision, that is so important because that is the only thing that can actually help a person break through all the obstacles, all the blocks, all the fears, all the invisible walls, that it takes to get to the level that it needs to be to do what you are here to do. We also help them develop tools and resources physically, psychologically, spiritually and financially to be able to fully support their vision. IntraAwareness is not a religion or even a different spirituality thing or a different school system where you come to us and then you start to look like us, talk like us, dress like us, do like us. It’s quite fundamentally the opposite of that. We offer a study in total life mastery, and once you learn it, you can apply it yourself. You can make it your own. You can repackage it any way you want. You must do that for it to be successful for you, and you must communicate it with other people the way that works best for you. We empower leadership and we empower people to bring their life — not conceptually, not psychologically, but actually in reality and experientially –to do what they’re here to do. That’s what we’re here to do. Amanda: The main point that I’m feeling called to share is that it is experiential. A lot of things tend to be concept-based, like memorizations of facts and other people’s experiences.What we do is completely different. It is really, truly experiential. And what we have found is that one person’s experience will ripple out when they share their experience with their friends and family to hundreds of people in a different ways. The experience of healing, the experience of having your own mystical connection to your higher purpose, or to Christ Consciousness, is only experiential and it’s hard to put into words. We’ve been finding, and what all of our students and clients have been finding, is that it is the real thing. It’s what they have been looking for for years, if not decades. It’s very cool. Yes! What do you see as the most common limitations that keep us from realizing happiness and achieving our soul’s purpose? Jeremiah: Fear. Hurt. People experience programs that they inherited from their parents, from religion, from ancestral, past lives. To be really honest and to really sum it up for you, it’s the resistance of fear. We teach people how to fully receive the ability to accept fear. If you are not afraid of fear, you are immune. The biggest obstacle people have is themselves — nothing outside, no enemies, no boogeyman, none of all of that stuff. It is actually the fear and the inability to know how to really experience it, to heal it, to connect to it, to dissolve it, to transmute it — and all of this cannot happen in our experience within the mind. We need the mind for certain things, but the mind fundamentally cannot experience anything. The mind is a supercomputer. We teach and share with a lot of our students that there are no emotions in your head, and there are no thoughts in your heart. They’re two different parts of you. You are not your mind, yet your mind is a part of you. You’re not the universe, but the universe is part of you. You are not exclusively that. It depends on what level of consciousness you are looking at it from. Of course, on a higher level you are the Universe and everything in it. What we have found are the negative programs that people have inherited and why. When we say negative, we don’t actually think negative is bad and positive is good. We feel that positive is moving forward and negative is moving backwards. What keeps people from moving forward is always rooted in fear and the ability to experience it, to resolve it, and heal it, and connect it. So the key is to accept it and move through it? Some people’s strategy, if they don’t know how to do something, is to identify with being a failure or a loser or negative thoughts. We teach people that’s fine. We actually have no judgment with that. But do you realize that out of infinite possibilities, that is only one way to look at it. Here’s another way, which is to personally and permanently connect with your higher consciousness, your higher self, your future self that’s already received this lesson, already connected, and bring it inside of your heart to give you direct experience and ask for it to give it to you. Everything — from our logo, our message, what we do, what we say — points the person back to their own heart, not the physical heart, not what the mind thinks is the heart, but the actual heart center. That’s why it’s called IntraAwareness, with an awareness inside of awareness. The awareness is the key, but the mind cannot be aware of anything because it is a computer. Awareness is what people really are — it’s consciousness itself. Amanda: If you go into your heart space, into that connection, fear can be connected in a way where, again, it goes back to being experiential. It is not accepting fear and holding it close or pushing it away. Fear just is an experience. You don’t need to do anything to it. The end of the journey is not about eliminating fear for good. When fear arises, it arises as something that is connected and you can see it and you can feel it and you can just walk through it with your heart, and you really do become like a superhero at that point. A lot of these movies that are coming out about superheros are more than just the story to enjoy for an hour and a half while you are at the movies. They are about something that can be connected within each person. It’s totally possible, and we are doing it on a daily basis, helping people, guiding people to do it within themselves. These superhero movies are not just movies. They are real, and it’s actually happening every day right here in Minneapolis and around the world. I’m not pushing it away, I’m not resisting it, it’s just there and I just can walk through it. I can be in my bubble and out of my bubble. It doesn’t matter because it’s connected, and when it’s connected it has no effect on me whatsoever. Jeremiah: What we teach and what we find is if fear comes up for a person, it’s a part of themselves that has not yet been connected. So, we don’t resist it. It’s actually a communication. It’s not much different than a check engine light on the car. If a person feels fear, a part of you that has not yet been connected, so let’s connect that which needs to be connected. It’s about true acceptance. When I say that human beings don’t have the ability to accept things, that they can only have it given to them or transferred to them or shown to them, what I mean by that is if there is true acceptance of fear or judgment or (fill in the blank), if there is true acceptance there, there is no part of you that has any preference to it being there or not. If fear is there, you could bathe in it, you could moisturize with it, you could eat it, you could let it do whatever it does. There is literally no preference. And at a certain level of consciousness, this fear becomes afraid of you. If you are not afraid of it or if you actually welcome it, if you want to serve fear — and I’m talking about emotional fear internally — then that part of you becomes connected through that acceptance and it just totally transforms life. When you’re personally out of alignment with your Source, how do you pull yourself back in? Amanda: I know this is something Jeremiah and I experience very differently. For me, I check to see when I last ate, because it might be more of an emotional thing. Do I need a hug? And, am I tired? These are the kinds of physical things that I’ve noticed, and my husband has actually helped bring to my awareness that if my physical needs — such as food, touch like a hug, or sleep — have not been met, it is easy to get kind of ornery, and that might be the first step. When it comes to aligning to the deeper connection, which I feel is what your question is more about, I use my resources. I focus back on my breath. I focus back on my heart center, if needed. It really is kind of automatic now. I actually need to recall a time when I did come out of alignment, because it’s just been a while. But things like the phases of the moon can naturally bring up different charges or different triggers or different things that maybe I am not aware need connecting. What I do in those moments is to start talking to my guides or just to that presence, to that connection, and say, “What is the bigger picture here?” right away. “What is the lesson that I need?” and “What kind of connection do I need to make in order to integrate this into me?” The teacher is not needed any more and the lesson can just dissolve. That’s my strategy for it. This is the first time I think I have said this out loud. I don’t know if it is going to translate, but it is really about just looking for what lesson the universe is giving me in any single day, and what I need to do to connect to it to get the lesson so I no longer need the teacher. I’m just constantly combing through my life looking for these things automatically, so they are becoming less and less frequent. Jeremiah: For me, Tim, my strategy has evolved over the years. I remember going to India realizing in 2006 that I did not have a personal connection with God, Source, Higher Consciousness. It was just a concept. What I’ve learned is that a person cannot have a personal relationship with their Higher Consciousness, their Higher Self, if the image or the form that God comes in is given to them. If it is not personalized for a human being, if it’s not given to them and if it’s not inside their bodies, then there is no experience, actually. If it’s closer to you, then you can experience it more. If it’s farther away, then you experience it less. Then it moved inside, and it was great, but it was silent unless I talked with it, and then when I spoke with it it would be active. It kept asking me questions, I kept answering answers, and maybe this was about half a million times, and then I said, “You know, I’m getting kind of lazy about this now. I want you actually to just give me the answer before I even ask the question.” Then it evolved to speak through me, and then it evolved to fully merge with every cell in my being. My internal experience or truth is that because I have evolved this strategy and it’s something I’ve wanted my whole life and I have invested so much into it, I’m fully merged with the Source within myself. According to my truth, it’s impossible for me to get disconnected from it or out of alignment from it because I’ve experienced it, utilized it, asked it to merge, asked to be shown what is in-between me and full merging of it, over and over and over and over again. It happened about three years ago, and so for me it’s never being out of alignment. Show me through the invisible blocks, show me what I cannot see, teach me what I do not know, show me how I’m blending in you in any way, in any aspect of life, and that’s how I’ve continuously, I wouldn’t say aggressively, but actively been looking for any fears, any obstacles, and what is the next lesson so I can elevate to the next level? Is there a daily practice you could recommend for our readers to keep them moving forward and progressing in their body/mind/Spirit connection? Amanda: The first thing that I really feel called to share is a really beautiful practice that helps body/mind and connecting to Higher Consciousness called peripheral awareness. Most of the time people walk around and they’re really focused on exactly what’s right in front of them, and that tends to allow the mind to be very active. When the mind is active, when there are a lot of thoughts, there is usually not a lot of feelings or connection in the heart center. My simple suggestion would be to go into peripheral vision first. Notice the things that you are focusing on right in front of you with your eyes, and then without moving your focus in that one spot, relax your eyes and notice what’s to the side of your main focus. You could move your arms on the side of your body and notice in your peripheral vision that movement happening, or expand your vision out and notice the walls on the side of the room, if you are in a room. If you are in nature, see the scene right in front of you, but then see peripherally what is on the side of the road without actually moving your eyes. It happens pretty naturally when you’re driving. This allows you to have access to your unconscious mind and your Higher Consciousness. When you’re doing this, of course, breath is necessary because that is going to give the fuel for that connection to your unconscious mind and your Higher Consciousness. So, breathe along with the peripheral vision expanding, and then notice the different sounds around you. That completes the peripheral awareness exercise, in a very short explanation. When you are in peripheral awareness, you have access to your unconscious mind, which has all of your memories stored into it. It also has a lot of the answers that the conscious mind is trying to look for. My suggestion is to practice peripheral awareness and just see how your body can relax more easily and how answers and insights come a lot more naturally with that practice. Is that something that you teach at IntraAwareness as well? Amanda: It is. We focus on it especially during our Oneness NLP 101 Certificate Course, which is a three-day weekend course. It is absolutely amazing. People are flying now from around the country to be a part of it and bring it back to their own communities. Peripheral awareness is one of the many tools that we go through. Everybody has a chance to have their own experience, to be guided and then ask questions and really expand. It is an amazing class. I also use that practice and walk people through it when I do one-on-one coaching, because I find that the energy that is created in the space when I’m working with somebody when they’re in their peripheral awareness is so natural and so beautiful. Ultimately, what I have found is it is what people are searching for and wanting. We are unveiling these little tweaks of technology as much as possible and sharing them with as many people as we can because it is the next generation of humanity. It is the next step for growth in consciousness in humanity. What message do you want to leave with our readers? Jeremiah: The biggest thing we have for everybody is that all physical, psychological, spiritual, financial suffering is optional, meaning the spiritual, physical, psychological, emotional and financial technology is here. We have put it together and we’re continuously upgrading it, learning better, easier and more effectively to teach and transfer this information to anybody to focus on finding the root cause of why people are suffering or struggling in any way, shape or form. We have found that all physical suffering, all chronic pain, is actually rooted in psychological suffering. There is something wrong within the mind — and when we say “wrong” we’re meaning negative programs, limiting beliefs, negative self-identity, things like that. The grass is always greener. If I had a million dollars, I’d be happy. You get a million dollars. If I had five million dollars I’d be happy. It’s about continuously comparing, judging, not being satisfied with what’s happening, not being content. And then all of that suffering is rooted in spiritual or existential suffering, which is about, at my core, that I feel completely disconnected. I feel lonely, I feel separate, and I’m trying to do all these infinite things to it that make me run away from myself. So, we have the solution. We have an answer. But it’s not us giving it, it’s us guiding and coaching. It’s not like we have it in a bottle. It’s not like we have it in a book. It’s experiential. We can technically lead a person step-by-step within themselves, but I feel fundamentally that healing is a team sport and we can’t do it by ourselves. I would not be here if it was not for all my teachers, all of my obstacles, everything. I’m the total sum, and so are you, of everything that you have been doing up to this point. If you want different results, then you’re going to need to do something differently and bring this information that we’re sharing with you in your heart. If it resonates with you, reach out for us because the time is now to grow and elevate. When we partner with people, when we coach, when we guide, when we teach, when we talk to people, we give 100 percent of our total being and resources at your disposal. So, that’s who we are, that’s what we’re here to do. We’ve made it our life’s purpose, our life’s work. So, bring that information into your heart and see if it’s true for you. We’re on your team. For more information on IntraAwareness, visit IntraAwareness.com, email info@intraAwareness.com or call 612.930.2662.